Aloha is a word in the Hawaiian language that has numerous meanings both as a single word and when used in context with other words, but the most common uses are as a greeting, farewell, or a salutation. 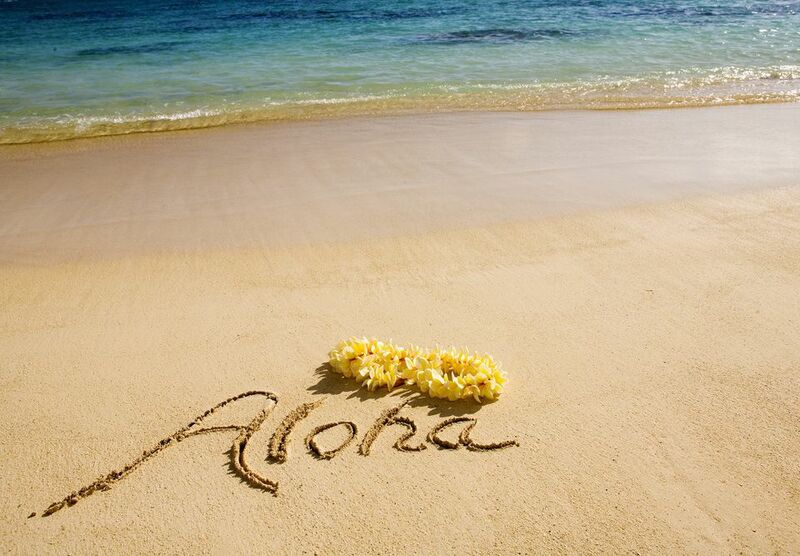 Aloha is also commonly used to mean love and can also be used to express compassion, regret, or sympathy. If you're traveling to the United States' island of Hawaii, understanding this word's use may be difficult at first, but its meaning really depends on the context in which people say it—essentially, you'll need to pay attention to context clues and intonation to understand the word's specific meaning in each instance it's used. Still, no one will be angry if you give a friendly "aloha" in greeting or farewell, so even if this is your first time traveling to the islands, be sure to put on a smile and get into the local "Aloha Spirit." Aloha can mean many things, depending on how the word's being used in context; however, at its etymological core, aloha comes from the roots "alo-" meaning "presence, front, or face" and "-hā" meaning "(Divine) breath," combining to mean "the presence of the Divine Breath." Aloha (and mahalo) are ineffable, indescribable, and undefinable with words alone; to be understood, they must be experienced. Deeper meaning and sacredness is hinted at by the root words of these words. Linguists differ in their opinions as to the exact meanings and origins, but this is what was told to me by my kupuna (elder): "On a spiritual level, aloha is an invocation of the Divine and mahalo is a Divine blessing. Both are acknowledgments of the Divinity that dwells within and without. Aloha can be used in tandem with other words to provide it more specific meaning, too. "Aloha e (name)," for instance, means aloha to a specific person while "aloha kākou" means "aloha to all (including me)." On the other hand, "aloha nui loa" means "very much love" or "fondest regards" while "aloha kakahiaka," "aloha awakea," "aloha 'auinala," "aloha ahiahi," and "aloha po" can be used to mean "good morning, noontime, afternoon, evening, and night," respectively. § 5-7.5 "Aloha Spirit". (a) "Aloha Spirit" is the coordination of mind and heart within each person. It brings each person to the self. Each person must think and emote good feelings to others. In the contemplation and presence of the life force, "Aloha," the following unuhi laulā loa may be used: Akahai, Lōkahi, 'Olu'olu, Ha'aha'a, and Ahonui. In this, "Akahai" means kindness to be expressed with tenderness; "Lōkahi" means unity or to be expressed with harmony; "ʻOluʻolu" means agreeable or to be expressed with pleasantness; "Haʻahaʻa" means humility or to be expressed with modesty; "Ahonui" means patience or to be expressed with perseverance. Aloha, then, expresses traits of the charm, warmth, and sincerity of Hawaii's people. It was the working philosophy of native Hawaiians and was presented as a gift to the people of Hawaiʻi. ''Aloha'' is more than a word of greeting or farewell or a salutation, it means mutual regard and affection and extends warmth in caring with no obligation in return. Aloha is the essence of relationships in which each person is important to every other person for collective existence—it means to hear what is not said, to see what cannot be seen, and to know the unknowable. So, when you are in Hawaii, don't be shy to greet the people you meet with a warm "Aloha," in any of these ways and share in the aloha spirit of the island people.